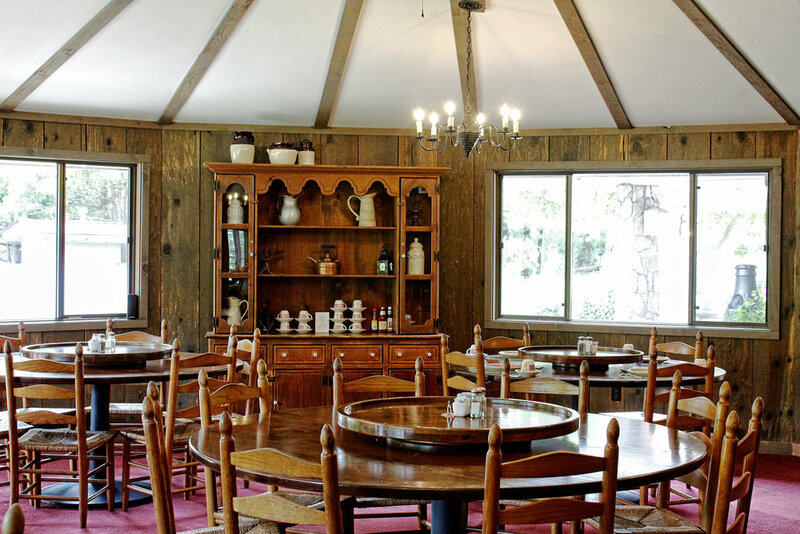 Cold Mountain Restaurant: Our breakfast buffet is available for $9.95 per person with reservations. We serve family style dinners that include desserts. Cold Mountain Restaurant is only open in the evenings when there are guests on the resort. The Snack Shack: Enjoy delicious snacks, sandwiches, beverages and daily specials on the terrace from 10:00 a.m. to 4:00 p.m. daily. Rocky Face Tavern: The tavern offers cocktails, wine or beer while watching your favorite sports team on TV, or you can take your party outside to the bar terrace to enjoy the spectacular golf course and mountain vistas. A delectable assortment of bar food is available including Steak and Cheese Sliders, Bruschetta, Spinach and Artichoke Dip or Nachos all the Way. There’s something for everyone!! Rocky Face Tavern is open Sunday - Wednesday, from 10:00 am - 4:00 pm and Thursday - Saturday, from 10:00 am - 9:30 pm.